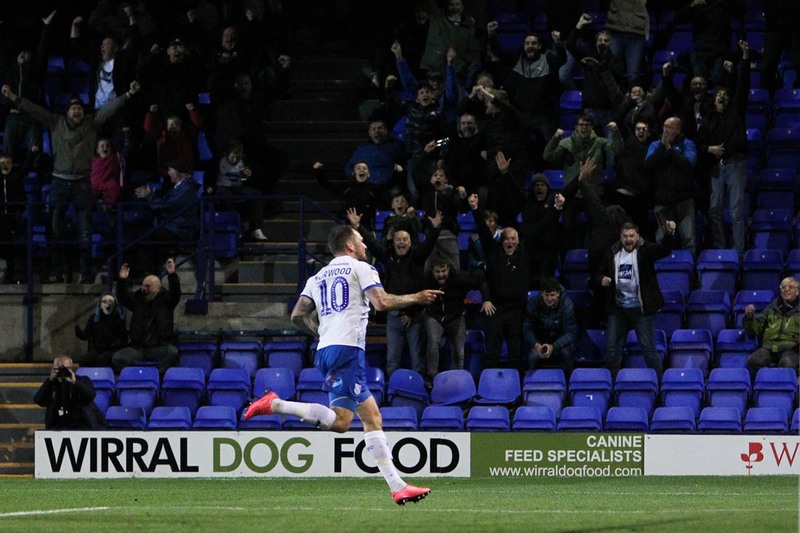 James Norwood was the hero and the villain as Tranmere Rovers picked up three points against League Two leaders Lincoln City at Prenton Park on Tuesday evening. The striker netted his eighth goal of the season to seal the 1-0 victory but was given his marching orders in stoppage time for a second yellow card after kicking the ball away. Micky Mellon named the same side which started against MK Dons on Saturday. In truth, it was a game of two halves, with the visitors looking the stronger in the first 45 minutes only for the tables to be turned around in the second 45. Lincoln began very strongly and John Akinde had their first chance, forcing an excellent save from Scott Davies inside three minutes. Soon after, another dangerous attack saw Shay McCarten in down the right, he rounded Davies but his goalbound effort was cleared away from danger by a backtracking Adam Buxton as Rovers survived the early onslaught. Rovers defended resolutely and they had to at times. Steve McNulty and Manny Monthe getting blocks in to deny good play by Bruno Andrade who was a constant threat in the first half down the Lincoln left. The closest Tranmere came to a goal in the first half fell to McNulty on 41 minutes. He normally stays back for attacking corners, but this time he got himself first to the ball at the near post and his flick header was on target but dealt with at the second attempt after a fumble by the City goalkeeper. Midfielder Harvey Gilmour came on to replace striker Cole Stockton at the start of the second half, with Rovers operating a 4-3-3 formation with Luke McCullough sitting in front of the back four after the visitors had caused problems in those pockets of space in the earlier stages of the game. It was a masterplan and worked a treat as Tranmere dominated the second half and put the Lincoln defence under much more pressure. James Norwood went wide with a header from a right wing cross and Ollie Banks struck a powerful drive inches wide of the target as Rovers went up through the gears. And just after the hour mark, they got the goal to give them the advantage. A lovely through ball was played down the left channel for Norwood to run on to, he took a touch before firing a left footed shot into the bottom corner of the net to lift the roof off Prenton Park. Davies was on hand to keep the Lincoln attack at bay with a smart save from a powerful effort on goal, while a couple of dangerous crosses from Banks and then Bakayogo were dealt with by the visiting side. In stoppage time, Norwood, who had earlier been booked for being pushed over on the halfway line, received his marching orders for a second bookable offence. This one was justified, however, as he kicked the ball away long after the referee’s whistle had been blown. That ever so slightly took the gloss off what was a fantastic second half display and brilliant result for Micky Mellon and his players. Rovers move up to 10th in League Two and on to a trip to Morecambe on Saturday. But the man of the moment will not be there to lead the line in deepest Lancashire.